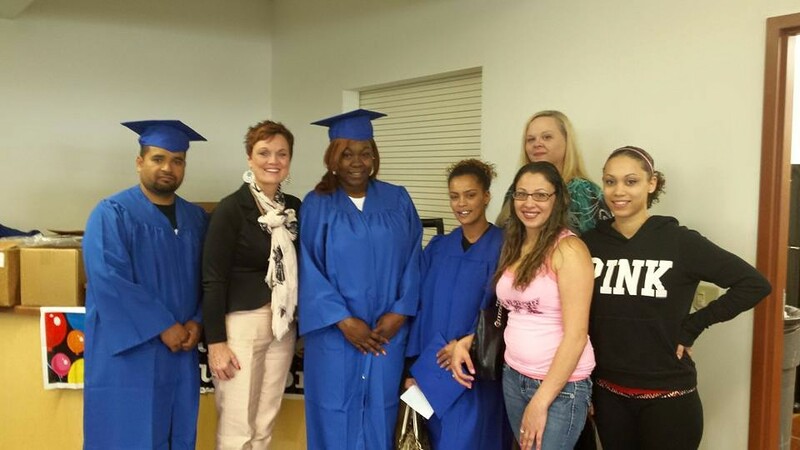 Scott County Auditor Roxanna Moritz registered new voters during the May 21, 2015 graduation ceremonies for the Scott Community College GED program. This is one of several voter registration activities undertaken by the Auditor’s Office. Other activities include registration for new high school graduates, new citizens at naturalization ceremonies and other similar events. Scott County Auditor Roxanna Moritz poses with recent graduates from the Scott Community College GED program. Scott County Auditor Roxanna Moritz addressed the Association of Election Commission Officials of Illinois (AECOI) on May 7, 2015 during the annual meeting of the group. Roxanna spoke to the group about Iowa’s, and more specifically Scott County’s experience in implementing election day registration. The topic of election day registration was especially timely. This year will mark the beginning of precinct level election day registration in Illinois, and a July 7th special election in the 18th Congressional District will be the first election under the new law. 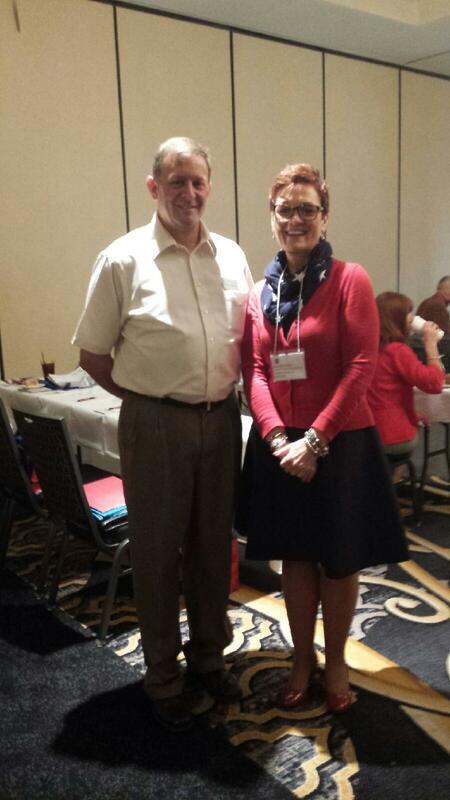 Scott County Auditor Roxanna Moritz with Paul Shannon, Executive Director of the Bloomington Board of Election Commissioners at the May 7th AECOI meeting in Rockford, Illinois. The Auditor’s Office sponsored a special training for Scott County township trustees and clerks on Janaury 12, 2015. Alan Vandehaar from Iowa State University Extension conducted the two hour training for the 24 trustees and clerks in attendance. Also, Wes Rostenbach, accounting and tax manager for the Auditor’s Office answered questions about budget preparation and deadlines. This training was the first of its kind in Scott County. The event began with a welcome from Auditor Roxanna Moritz and remarks from Scott County Board of Supervisors Chair Tom Sunderbruch and Vice-Chair Jim Hancock. Vandehaar followed up with a quiz which walked participants through the various provisions of the Iowa Code regarding townships, including Open Meetings Law, budget preparation, fire protection, fence law and cemeteries. Attendees had lots of questions about these various areas, especially fence laws and trustees responsibilities as fence viewers. In addition to the training, all clerks and trustees will receive a copy of the Township Trustee and Clerk Reference Manual prepared by ISU Extension. The manual covers in more detail the various legal provisions covering townships and contains several appendices to help trustees and clerks conduct their business. Scott County has 13 political townships. Each township has three trustees and one clerk yielding a total of 52 elected positions. Scott County bucked a national trend of lower voter turnout in the 2014 general election. The overall national turnout was 36.3 percent, the lowest turnout since the 33.9 percent turnout in the 1942 general election at the height of World War II. Turnout in Scott County was much better at 48.6 percent. The total vote was 61,894 and the total number of registered voters was 127,378. The total vote was about 5,000 more than in either 2010 or 2006. In 2010 turnout was 46.7 percent with 56,993 voters casting ballots out of a total registration of 122,044. In 2006 turnout was 49.1 percent with 56,482 voters casting ballots out of a total registration of 114,971. Also of note, absentee and early voting continues to grow, this time constituting 46.2 percent of the total votes cast. In non-presidential year general elections the percent of ballots cast early has grown from 22.5 percent in 2006, to 33.5 percent in 2010, up to the current 46.2 percent. Total number of early votes has grown as well, from 12,727 in 2006 to the current 28,622. This represents a 225 percent increase in early votes. Six Scott County polling places have changed since the 2012 General Election. Four of these locations changed after the 2014 Primary Election and two others changed in 2013. New voter registration cards were mailed to all registered voters in these precincts listing their new polling places. For those precincts which have changed since the 2014 Primary Election additional post cards will be mailed before Election Day to the same registered voters to remind them of their new polling locations. Listed below are the affected precincts with a link to specific information about each polling place on the Auditor’s Web Page, including a Google Map for each location. The Auditor’s Office has received many inquiries about how a voter can cast a “mixed” or “split” ticket when marking the ballot. Iowa Code Sections 49.94 through 49.97 address how a voter can mark a ballot for partisan offices. Section 49.97 (shown below) specifically addresses this question. 49.97 How to mark a mixed ticket. 1. The voter may mark a straight party or organization vote for the party or nonparty political organization which nominated some of the candidates for whom the voter desires to vote and vote for candidates of other parties or nonparty political organizations by marking the voting targets next to their names. 2. The voter may vote for each candidate separately without marking any straight party or organization vote. In other words a voter may cast a straight party vote by filling in the oval for the party of choice and also cast a vote for a candidate who is not a member of the party of choice by filling in the oval next to that candidate’s name. Alternatively, the voter may vote for each candidate individually. The 2014 General Election is in full swing in Scott County. With twenty days to go before Election Day the Auditor’s Office has already processed more than 19,540 mail absentee ballots. This compares with a total of 15,491 mail ballots processed in 2010. Further, we have processed more than 860 voters in our office. This compares with a total of 912 voters processed in office in 2010. If these rates of early voting continue the 2014 General Election could be the first election where more votes are cast before Election Day than on Election Day. Voting at the two Davenport Branch Libraries, the Bettendorf Library and the Scott County Library in Eldridge begins on Monday, October 20th. Voting at these sites will continue for two weeks, Monday through Saturday. All ballot styles will be available at any of these sites. The hours for the various libraries are listed below. Mondays – Thursdays: 12:00 noon – 6:00 p.m.
Fridays & Saturdays: 10:00 a.m. – 4:00 p.m.
Mondays & Wednesdays: 12:30 p.m. – 6:30 p.m.
Tuesdays & Thursdays – Saturdays: 10:00 a.m. – 4:00 p.m.
Mondays, Wednesdays, Fridays & Saturdays: 10:00 a.m. – 4:00 p.m.
Tuesdays & Thursdays: 12:30 p.m. to 6:30 p.m.
Mondays – Thursdays: 10:00 noon – 6:00 p.m. In addition, voting will also be available at the Rogalski Center on the St. Ambrose University Campus for one week, October 20th through October 24th from 12:00 noon to 6:00 p.m. All ballot styles will be available at this site. The Iowa legislature enacted some changes to the voting by mail procedures which affect with this year’s General Election. The biggest change is that the return mail envelope has been combined with the affidavit envelope as a way to reduce costs and voter confusion. The return mail envelope is self-explanatory. The affidavit envelope has the voter’s affidavit which the individual voter must sign. The affidavit is located on the back of the envelope in the upper right hand corner. This is the same affidavit voters sign at their polling places before voting. If the voter does not sign this affidavit then by law the voter’s ballot cannot be counted until it is signed. Most voters have adjusted to the change without any problems. However, our office has received about 350 return ballots on which the voters have not signed the affidavit. Unfortunately, such a ballot cannot be counted until the voter comes to our office and signs the affidavit, and the affidavit must be signed before Election Day. Alternatively, the voter can send us a new absentee ballot request and start the process again. Finally, the voter can vote at the regular polling places on Election Day, but may have to vote a provisional ballot if the election officials cannot verify the status of the absentee ballot with our office.